Wow. My mind is spinning. I’m as foggy headed as a Baltimore Ravens kicker. So much is going on. First, my case is being presented to the Lahey Clinic surgical team for a transplant verdict this week. On January 31 I will hear their decision. Oh man, I pray that I’m having this horrific, major surgery this year. Yeah I pray that I get giant scars, have my diseased liver removed and get a chunk of a new one. 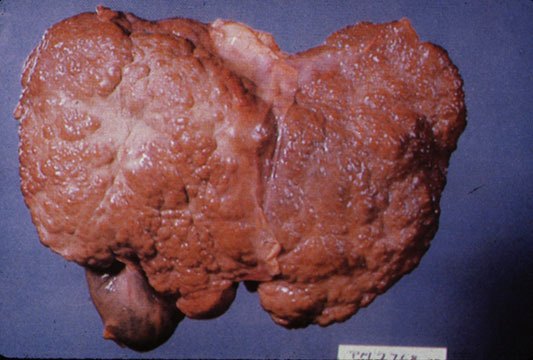 The picture of my liver turns my stomach. It’s so weird to be hopeful for the most dramatic and severe operation of my life but I really do want to live. Without the surgery, I die. Yikes. Second, I’ve gained about 16 pounds of fluid in the last two weeks. That’s not good. 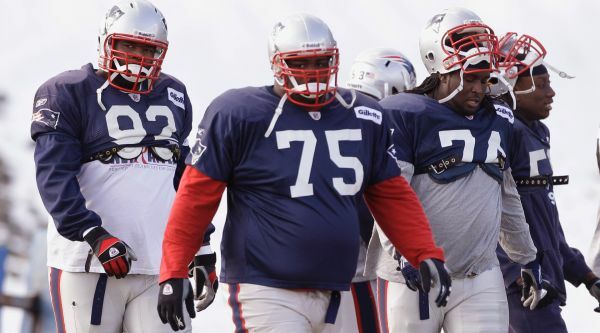 My belly is bigger than a Wilfork in the super bowl. My lung is back to being about 60% full and I have a respiratory bug. Lahey Clinic doubled my diuretic dosages to try to drain it. They would rather not tap my belly to drain it off yet. I ain’t no sap tree! I’d rather not be tapped. Third, our house closes Friday at 1 and then we close on our new place at 2:30. Our moving POD is filling up! I have had daily paperwork to complete for title companies, have ordered service changes and changed our mailing address to 5 Village Lane, Westbrook, ME 04092. But the truly amazing blessing is Alissa’s parents are letting us use their house while our place is being painted and getting flooring replaced because of my allergies and illness. Alissa and Jeff Messer have really blessed us like crazy! We also have our cleaning angels coming Thursday afternoon to make our current house spotless for our buyers. Ellen, Mary and Ruth are so kind to help us this way. We have run out of time to do everything because we move out Thursday evening. They asked me if they could help us in this way and I hadn’t even mentioned the need to anyway. I continue to be amazed at how our God provides for our needs even before I know what our needs are. Faith in Jesus is real, even if you believe it’s bunk. We offer everything and expect nothing more than the Grace he has given and still, he blesses us. I’ve had quite a bit of pain lately and don’t move much. I try to make myself walk some. My thighs have so much edema (swelling) that docs want me to keep my legs above my heart. Um, how does one do that and get anything done? Am I spiderman? That would be pretty cool! We are Blessed with a home back home that HE gave us to share. We feel blessed to be able to share it. But as David said, I will not offer anything to the Lord that did not cost me. So to you Scott & Robin, we will provide the home(costs us nothing) and the electricity which hopefully CMP will be able to provide throughout your stay. Gods blessings on your both, Godspeed to Lahey. My brother-in-law had a kidney transplant there in 2005, and its been awesome for him. My sister lives in the winter in Billerica, MA next town north. She’s a committed Christ follower too, and should you need housing up there during surgery times for Robin, please ask. I’d be willing to ask her for you should you need it. Just let Alissa know. Dave & Cheryl Whitten….now in Cocoa, FL @80F today…sorry just had to do that :^) Blessings my friends. OK, pal. Thanks for keep us up on the latest. You’re back on my Walkabout Wallet prayer list.